So far 451 Editions has created 23 blog entries. 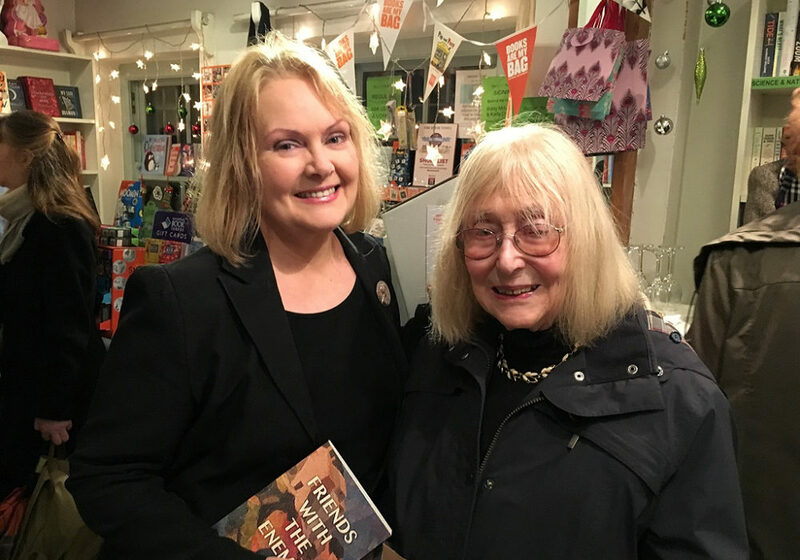 Renowned Irish author Val Mulkerns passed away peacefully on Saturday morning in her native Dublin. 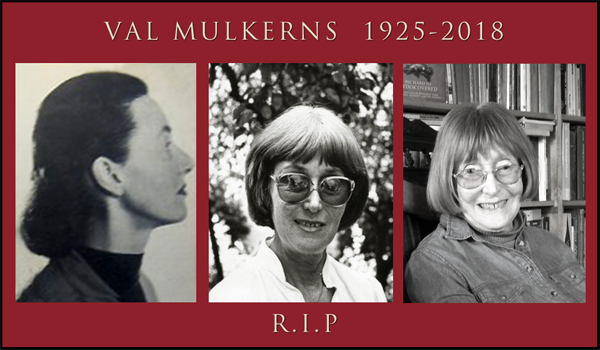 A long-standing figure of Irish letters and member of Aosdána, Val Mulkerns wrote her first acclaimed novel, A Time Outworn in 1951, and has since, in her long career, worked as an associate editor on The Bell, distinguished herself as a novelist, short story writer, journalist, radio essayist and more. See details on her website here. Her first novel, A Time Outworn, received critical and popular acclaim in Ireland and Britain in 1952. She published four more novels, two children’s books and several collections of short stories, including the linked sequence Antiquities, which won the AIB prize for literature. She was married to the writer Maurice Kennedy and they have a daughter and two sons. She worked as a journalist and columnist and has been a much-loved voice on RTE’s “Sunday Miscellany” down the years. 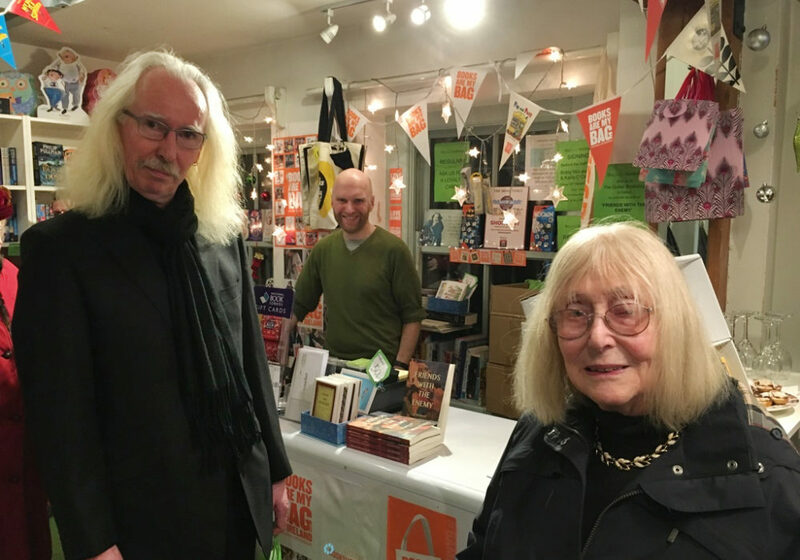 Having featured in many Irish literary anthologies down the years, she is the most senior Irish writer included in Reading the Future: New Writing from Ireland Celebrating 250 Years of Hodges Figgis, edited by Alan Hayes. 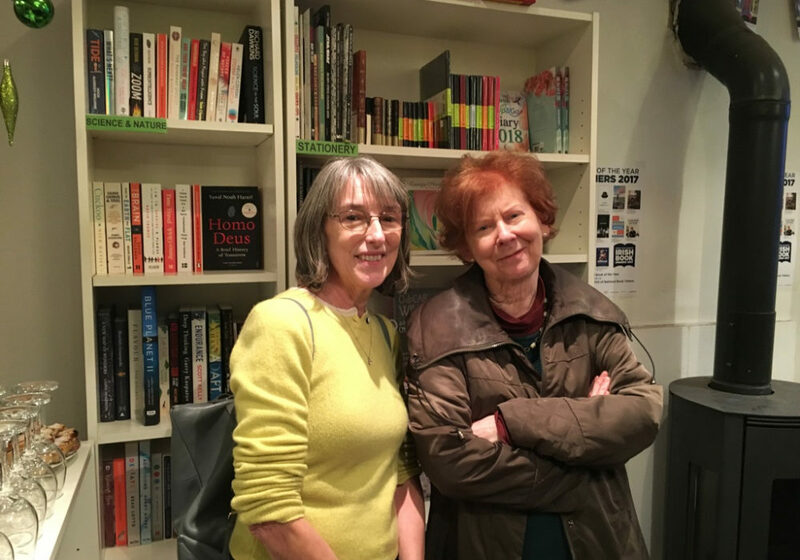 In 2014, a third edition of her novel The Summerhouse was published by Tara Press, followed in 2016 by a new book of her collected short stories, Memory and Desire (451 Editions). 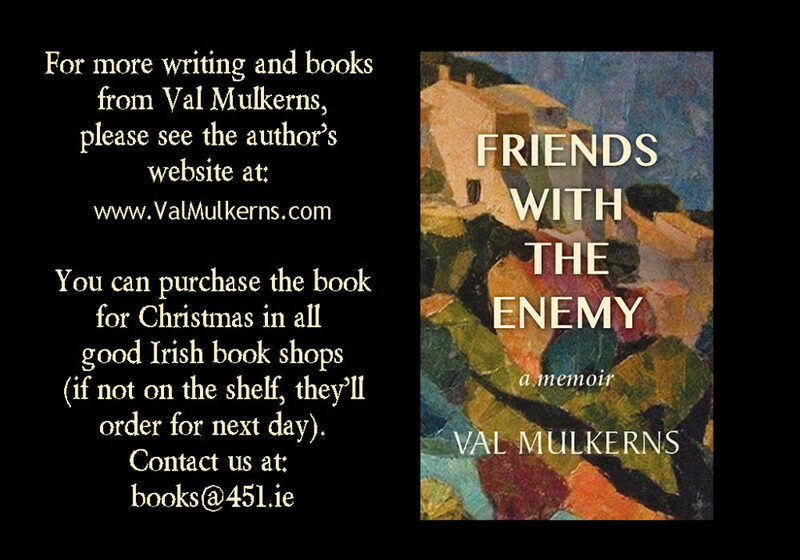 Friends With The Enemy – a memoir is the author’s latest book, launched just before Christmas and currently available. 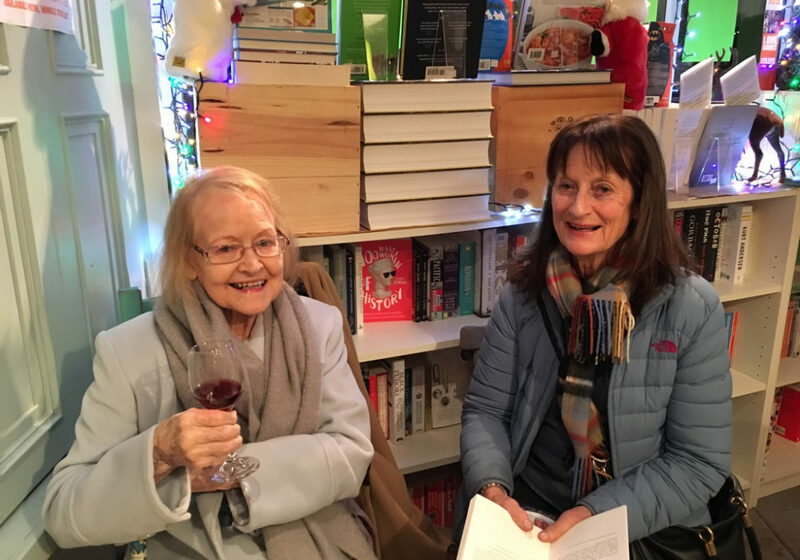 It takes the form of an elegant memoir, which begins with tales of a Bohemian Dublin childhood and goes on to recount her life as a writer, covering almost seventy years of life and times in literary Ireland. These three recent titles can be found or ordered in all good book shops. Attached please find one high resolution and one recent web-sized portrait of the author. 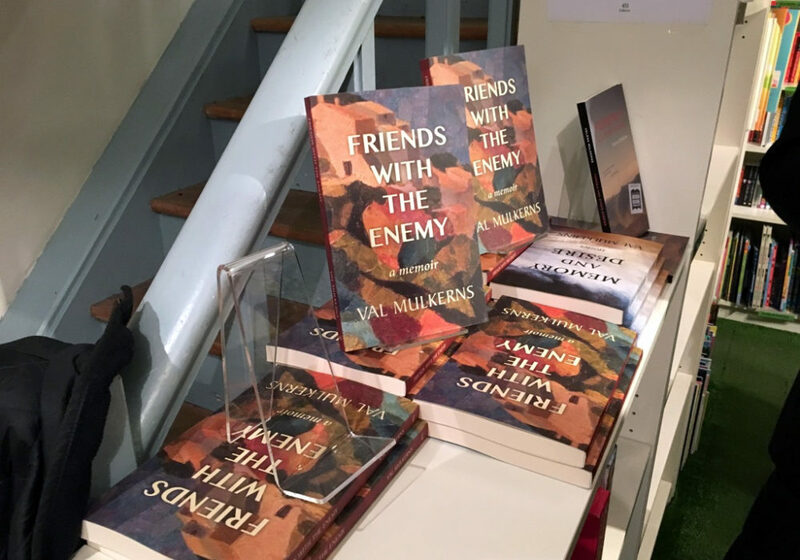 It was a great, glittery Christmas evening when Friends With The Enemy, the new memoir by Val Mulkerns launched at The Gutter Book Shop in Dalkey this week. 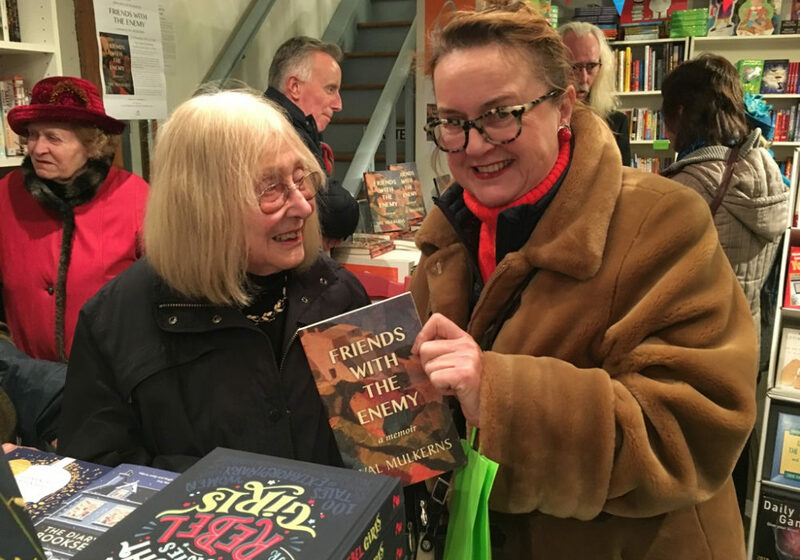 Author Ita Daly introduced the tome, giving it a warm and appreciative welcome as a fine literary memoir. 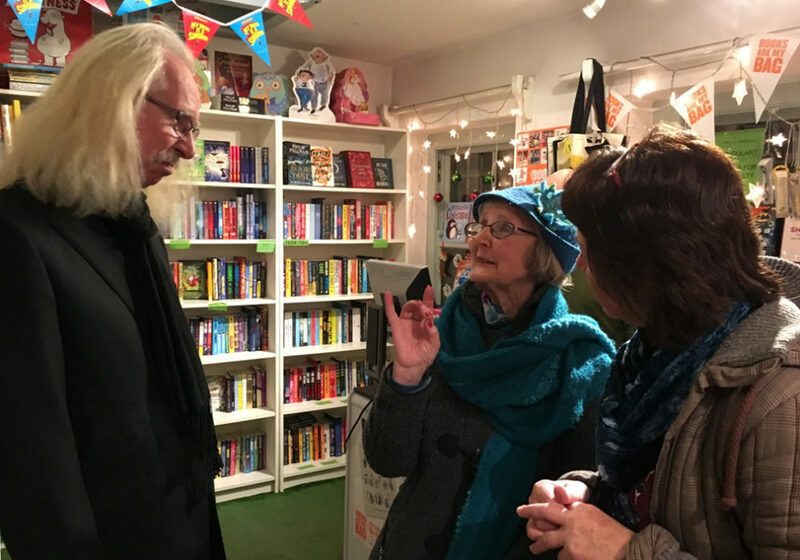 Val Mulkerns herself was in excellent form, reading a passage from the book to the delight of those present and signing copies afterwards. 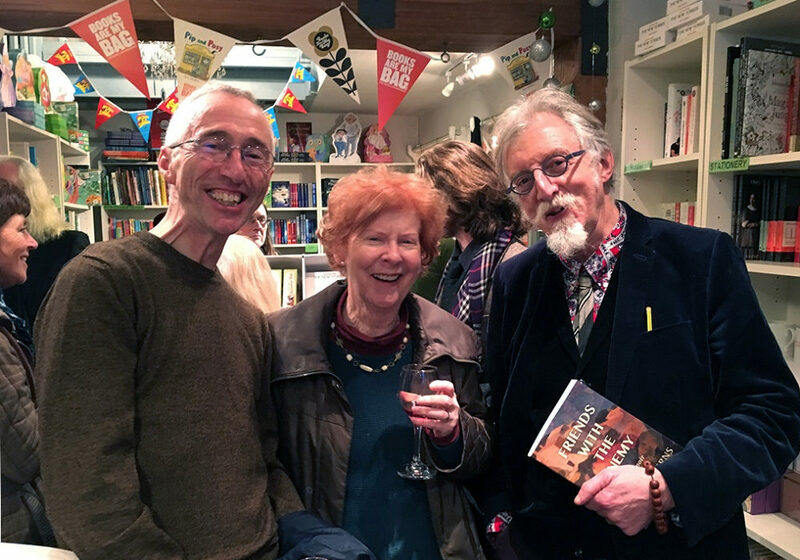 Thanks so much to Bob Johnston and Marta Starosta, who not only were our gracious hosts for the evening, but provided the splendid addition of home made mince pies and mulled wine! 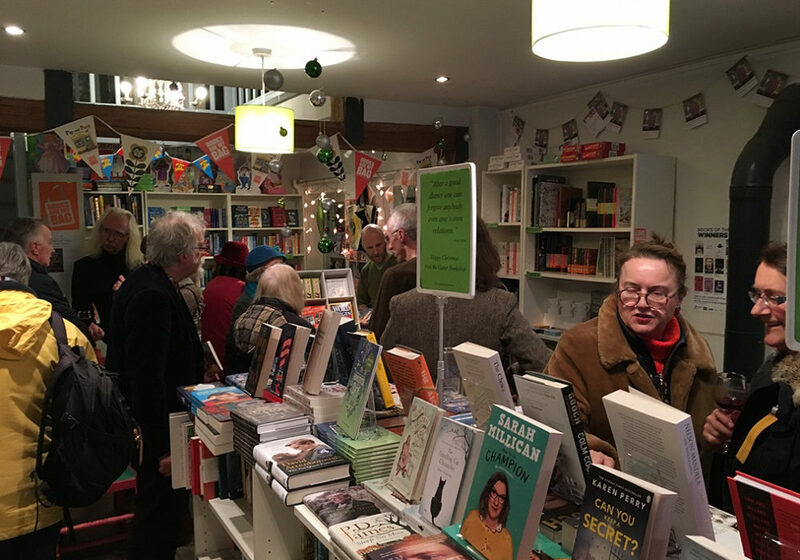 The book shop was festive and cosy - with mulled wine and mince pies as well as books. 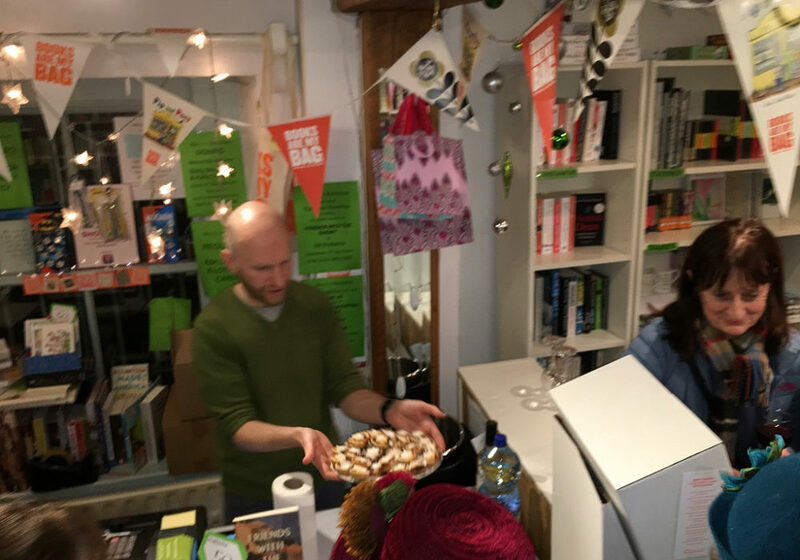 Gutter Bookshop owner Bob Johnston was on hand, serving delicious home made mince pies! The mulled wine went down well too. 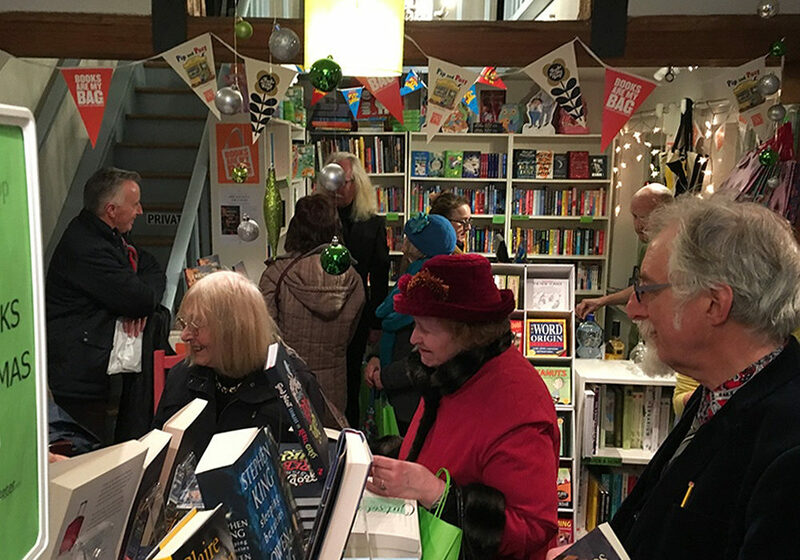 The crowd stayed late - as the launch merged into the bookshops special late Christmas browsing evening. Myles Kennedy, Ita Daly and Ronán Conroy enjoying the launch. The lady of the evening Val Mulkerns, author of "Friends With The Enemy" with niece Helena Mulkerns. 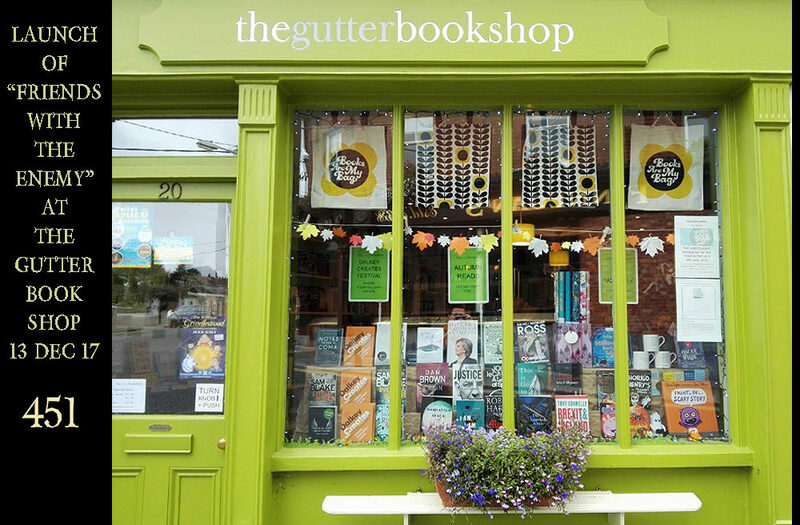 The Gutter Bookshop in Dalkey on 13th December 2017 at 5pm sharp. 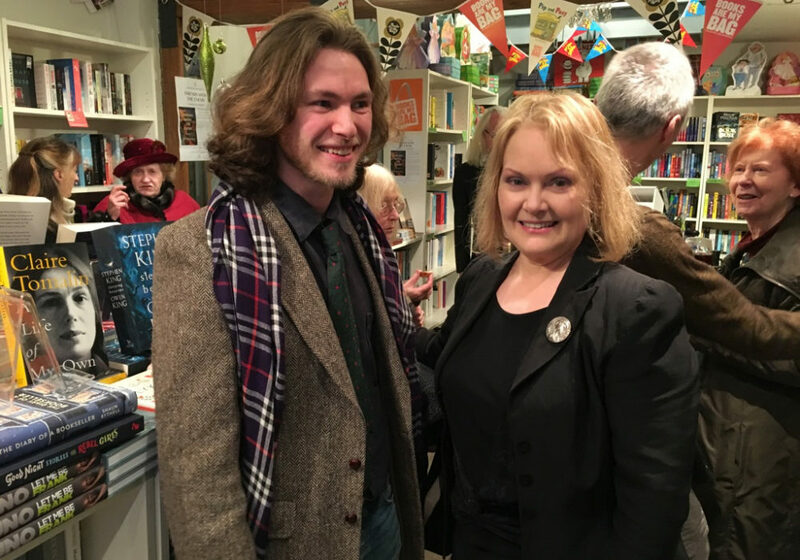 Introduced by Irish author Ita Daly.